Therefore, we having around us this cloud of witnesses, every weight let us cast aside and easily ensnaring sin, with endurance let us run the “set-before us” race looking to the author and perfecter of our faith Jesus, who for the “set before him” joy endured the cross disregarding the shame, on the right hand of the throne of God has sat down. For consider the one enduring much hostility by sinners so that you may not grow fatigued in your soul giving out. The heavenly company surrounding us now that we have seen their faith is numerous as the stars of heaven, just as God promised Abraham. The visible World made by the unseen word of the real God is based in an unseen reality. Abel knew it, and offered an acceptable offering to this God by giving the best of his life. Enoch knew it, and walked with the Unseen God who ruled it all. Noah knew it and obeyed God and condemned the world by his faith. Abraham knew it, and went into exile on earth so that God might give him the Unseen Promise. He also knew it when he obeyed God to offer up Isaac his son, trusting that God could even raise the dead. Isaac, Jacob, and Joseph knew it and carried this promise in their hearts. Moses knew it when he forsook his earthly pomp for persecution with God’s people. The nation of Israel knew it as they revered the God who fought for them. The servants of God have known it in their exaltation and humiliation that there was a glory that awaited them at the revelation of their Beloved’s face. Jesus was the beginner and the finisher of this faith, having showed us the whole path of maturity in faith from humble Birth through Ascension to God’s right hand. (see “To a Mature Man”) While Christ lived the life of faith, he also died the death of faith. He endured the cross disregarding the shame because he was aiming for what was on the other side. He has shown us that there can be no life of faith for us except through the cross– through the principle and practice of dying to self and to the world, submitting under the just judgment of God, so that other’s may know His forgiveness and love through us. Cast aside everything that holds us back. The Cross is how we do this. By the cross the world is crucified to us, and us to the world. (Galatians 6:14) The weight of the world represents the cares and investments we make for any reason other than the pleasure and glory of God. They are snares to us, and they strengthen our unbelief against God. That unbelief is the achilles heel to any runner. We run because we know that we are going somewhere we cannot see, and it is not too far for us to reach. Let us keep Jesus in mind so that any difficulties we face from the world or within us may not cause our breath to give out. We must have endurance to finish strong, and there is something at the end of the race that we can have right now in the midst of the race to keep us going. The author of Hebrews wrote in Greek the same world for “set before” us about the race and “set before” Jesus the Joy. The Master of this race has hidden in the fabric of the race itself this secret: The Race that is set before us, the same race Jesus ran, is the Race of Joy. This is the invitation of faith: Leave the fruitless pursuits of this age and pursue the eternal promise with God, and through that pursuit enter into the Joy of your salvation. This is the Invitation set before you right here on this screen. Will you accept it? The God of the Living blessed Isaac according to his father’s blessing, and because of it, Isaac knew a fruitful life. He and Rebekah had heard the tale of What God had promised Abraham concerning his offspring. Isaac was the beginning of that offspring. Could you imagine being the first son among innumerable children? Isaac’s life had already been given back to him, and so now all he had to do was wait, and keep walking with God, enjoying His bounty and thanking him. Now Isaac favored Esau, but with a little finagling according to the predetermined plan of God, at the end of Isaac’s life, Jacob got the greater portion of the blessing. And all Isaac needed to do was just keep living according to the promise. The nobly simple life of the first son of Abraham is an example of resting in the continuous stream of God’s faithfulness to His promise. 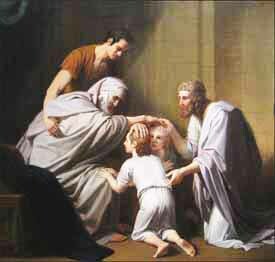 God had chosen to bless Abraham forever, and there was nothing Isaac could do about it, except pass the blessing on to the next generation. Faith in the life of Jacob has been hard for some to find. After all, he got much of his wealth, blessing, and advantage by tricking other people out of theirs. Indeed, what wealth and advantage did he seek to gain from God? 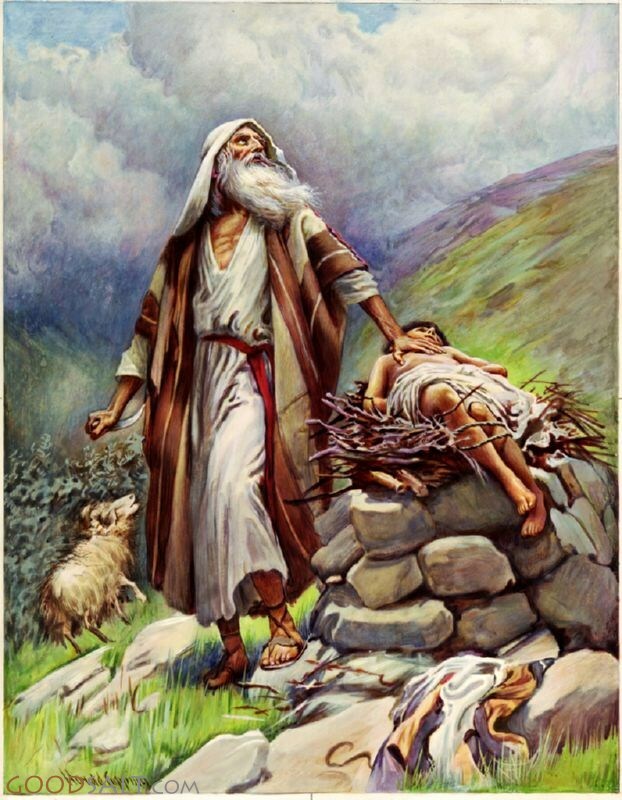 At Bethel, after Jacob slept on a stone, and saw the angels and God in his dream, Jacob made a vow to God. “If God will be with me and will keep me on this journey that I take, and will give me food to eat and garments to wear, and I return to my father’s house in safety, then the Lord will be my God. This stone, which I have set up as a pillar, will be God’s house, and of all that You give me I will surely give a tenth to You.” ~ Genesis 28:20–22. I have often wondered why God wanted to “back this horse in the race” so to speak. I mean he had promised Abraham, and this was two generations, and already we’ve got a conniving swindler and deal-broker. Where is Faith in this? Why is God called the God of Abraham, Isaac, AND Jacob? I think the answer lies in the encounter Jacob had with God, as a result of which he leaned on his staff in worship. When he wrestled with God in Genesis 32, he refused to let go of the Angel until He had blessed him. He laid hold of God until God gave him what he wanted. This is the kind of faith that is worth learning from. The story of Jacob is about God materially blessing him, and making good on the vow-deal Jacob had made in faith that God was faithful to do what He had promised. And once Jacob returns to the land of his father, he erects the altar to Yahweh as his own God, and takes on the name God has given him. The stories of Joseph are told in such a way as to inspire people with his faithfulness to God when going through extreme difficulty– how he faced his brothers and Potiphar’s wife, and prison, but got elevated to the second highest place in all the land! Surprisingly, this is not the lesson of faith this passage is seeking to teach. It’s rather about the bones being carried out of Egypt. What could be the purpose of this seemingly trivial thing in light of all Joseph went through? Faith doesn’t just look back at the glory days, or consider the victories for the present only, but faith looks forward and gives direction to those about to walk the next league of the journey so they too can keep in line with the promise. This is the lesson of faith learned from Isaac, Jacob, and Joseph. Faith is a larger commitment than the short time we live on this earth. The real task for many of us is to nail our own faith down during this lifetime by grappling with God as Jacob did, and resting in it as Isaac did. And when it comes time to pass it on to the next generation, we must keep our eyes on the Promises of God, so that the generation to come may See Him who is Unseen by looking at our lives to help them understand the mystery of their own. Keep track of your story: how you got here, and where you’re headed. Rest in full assurance of faith and communicate that to all whom God has given you to continue your journey. Grapple with God to accomplish His desire. And you be fully assured of his presence with you, and power to work in you. Pass your faith on to the next generation. This can look like passing on inheritance to your children, or telling them how God has worked in your life to get you here. Specifics really help, because a lot of youngsters these days need to hear the hard-core details about how God got you through your own self-made nightmares, and still proved to be good. Remember it’s a story about Him, not you. It is the sober reality of our failures and God’s salvation that makes up the most profound heritage one can leave to one’s children. Then, they too will know what promises to keep their eyes on. By faith Abraham, when he was tested, offered up Isaac, and he who had received the promises was offering up his only begotten son; it was he to whom it was said, “In Isaac your descendants shall be called.” He considered that God is able to raise people even from the dead, from which he also received him back as a type. ~ Hebrews 11:17–19. Faith cannot survive mortality. One of the truest signs of faith’s strength is its willingness to face even its own death. But Abraham has faced a test unlike any most people face. He was giving up his only son, in whom was his future, and all of the reasons he had followed God in the first place. Many people can’t get past a father offering up his own son. Does allegiance to the God of all reality Seen and Unseen require child sacrifice? Of course if he truly is God, He is more important than anything else, even our own beloved family. Allegiance to God is one thing, but the murder of someone else seems like an insurmountable barrier to this kind of faith. Few English translations will show you what I will here, but the Rabbis who study the Torah will tell you that what I write coming up is true. Remember that we are talking about an extraordinary life because it is grappling with the Unseen Reality that is real. This may be challenge your own faith. There is no room in real faith for “coming out ahead on the deal” with God. No self-gain, no added benefits that you can finagle or haggle or sneak past God. This is because Death is the gateway for everything in the new life. Only that which is for God and of God will last. Nothing for self or sin will be able to escape the penalty of Death. Death is therefore the truest test of something’s worth. Paul spoke of this a great deal in his epistles, though what he most often referred to it as was “the cross.” He closes the letter to the Galatians with these words. There is no good thing that can pass from this world to the “new creation” spoken of in the next verse except that passes through the gate of the cross. Consider in Pilgrim’s Progress how Cristian the Pilgrim needed to cross the River of Death to reach the Celestial City. And God knows that because of sin’s all pervasive presence, the only way for the promise of faith to be fully realized, is for that very same promise to be laid down. One thought before Application: God really does know best how to realize the Promise. If Abraham had not had the faith to offer up his son, he would not have seen “day of his salvation” when the ram got caught in the thicket. (John 8:56) In this place where he laid down his very future on the altar, he came to know God by a new name. 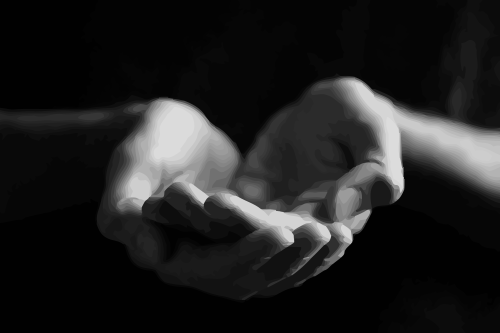 “Yahweh sees.” (Also known as Jehovah-Jireh– God will provide.) When your faith is tested, remember that even though You can’t see, in the Unseen Reality there is a God who sees and who is stronger than death. Let every good thing that you count dear to you be before the Lord on the Altar to live or let die. I am speaking figuratively primarily, because the sacrifice has been made for the Promise to be secured for all humanity. Still, even our family must come second to God. One thing this practically might look like is taking time away from your family to be with Him. We do it for work; why not do it for Him? The same one who demonstrated care for his family also showed us how to value time with just Him. Do not seek to get ahead on deals with God. It can only end in greater misery for yourself. If you have any selfish agenda for pursuing a walk with the Lord, abandon it now. Lay it down on the altar. Example: you may be following God because you want fame or prestige among God’s people. God will call you to do things which will be utterly frowned upon by the church so that you will be infamous and a shame in the midst of His people. His Joy is worth only the price or real faith, and the cost of real faith is the death of self. Surrender is the only way. Remember what Abraham remembered. “He considered that God is able to raise even from the dead . . .” Let it be God’s glory to vindicate the one who has trust in Him, and satisfy you with Himself, and in Him to give you all things.